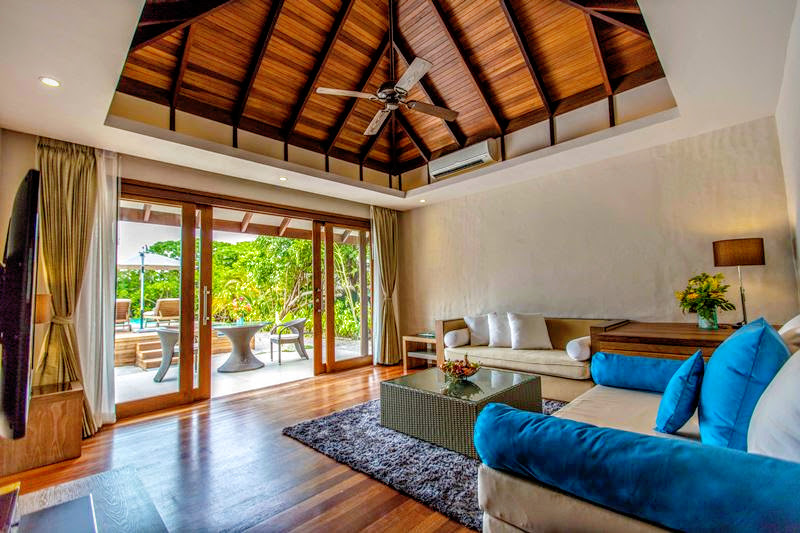 Just in time for the busy festive season, the luxury Hideaway Beach Resort & Spa, Maldives has unveiled a new room category, adding to its all-suite portfolio: the Deluxe Sunset Beach Villa. Located on the beach, each of the villas are sunset facing offering stunning views of the sun retreating at the end of the day. Just metres from the island’s renowned coral reef, the seven new villas boast a total footprint of 1,611 square metres of prime beachfront space exclusive to the guests staying in the villa, of which 105 square metres of indoor living space – offering guests their very own exotic hideaway. 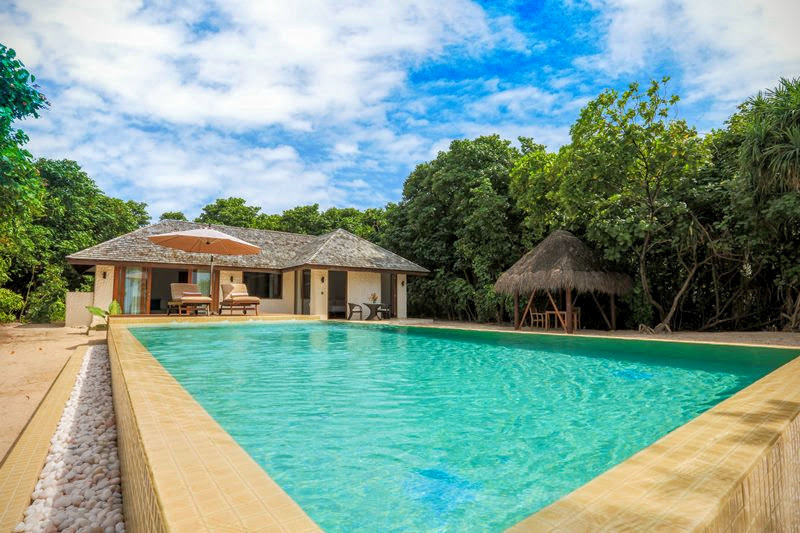 Each villa has a 66-square metre lap pool on the private beach in front of the villa where sun loungers and umbrellas are in place for a spot of relaxation, as well as a vast terrace and thatched-roof dining area on the beach. Inside the villa, the theme of spaciousness continues with a large living room leading to a dressing room, master bedroom and an en-suite open air garden-bathroom with tropical rainshower and a free-standing Jacuzzi bath surrounded by scented tropical plants; ready to be enjoyed with a selection of luxurious amenities by Bulgari. The décor of the villa is ‘tropical neutral’ with simple chalk white walls, natural wood floorboards and soft touches of colour in the fabrics and soft furnishings. Splashes of colour come from paintings by local artist, Eegan Badeeu. Designed as a true hideaway, the villa is hidden amongst lush vegetation ensuring total privacy for the holidaying guests. 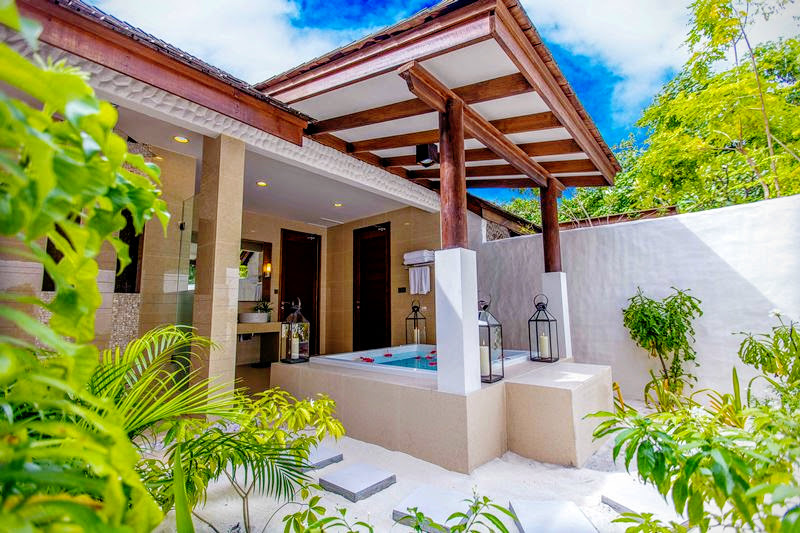 Staying in a Deluxe Sunset Beach Villa, guests will enjoy their own personal wine fridge, stocked with their favourite bottles from the resort’s own collection, as well as a personalised 24 hour butler service to anticipate and attend to all wishes and requests. 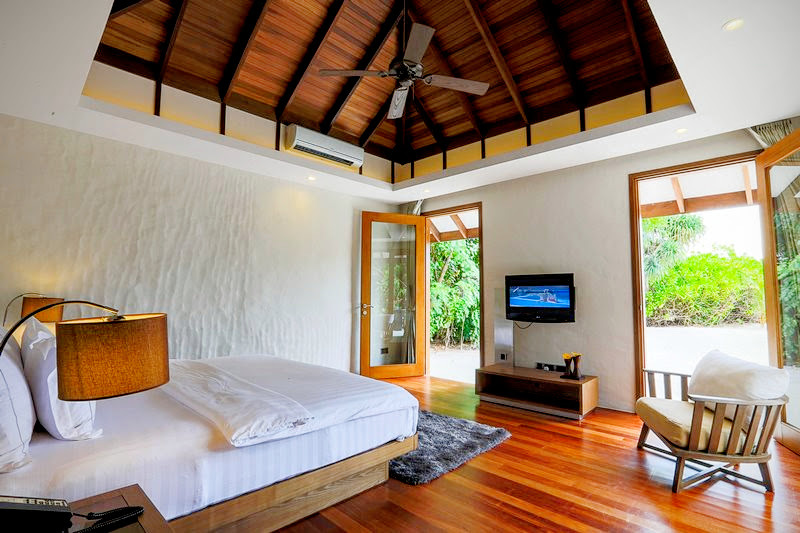 A stay in a Deluxe Sunset Beach Villa for two adults and two children starts from US$1,635 per night, inclusive of half board and transfers to the island.